Pram Curtain - the perfect accessory to help your baby fall asleep anywhere! The product is very easy to use, fits all kinds of prams & strollers and on car seats. Our pram curtain provides a calm space for your baby to sleep wherever you are– in town, on the bus, when shopping, on your walks – simply in all situations imaginable. You easily attach the curtain to the hood of your pram or pushchair, shielding your baby from bright light, wind and other disturbing visual elements. Kurtis pram curtain also makes a very good sun protector since he fabric blocks out 99% UVA and UVB radiation. On very hot days you can use the product as a sun canopy by attaching the bottom of the pram curtain to the handlebar with the two extra rings that are included. The curtain is easy to slide to get the coverage you need and it's designed to have open gaps on the sides to always provide good air circulation for your baby. You can also easily check on your baby at any time. The strings are used to fasten the curtain if it's very windy. 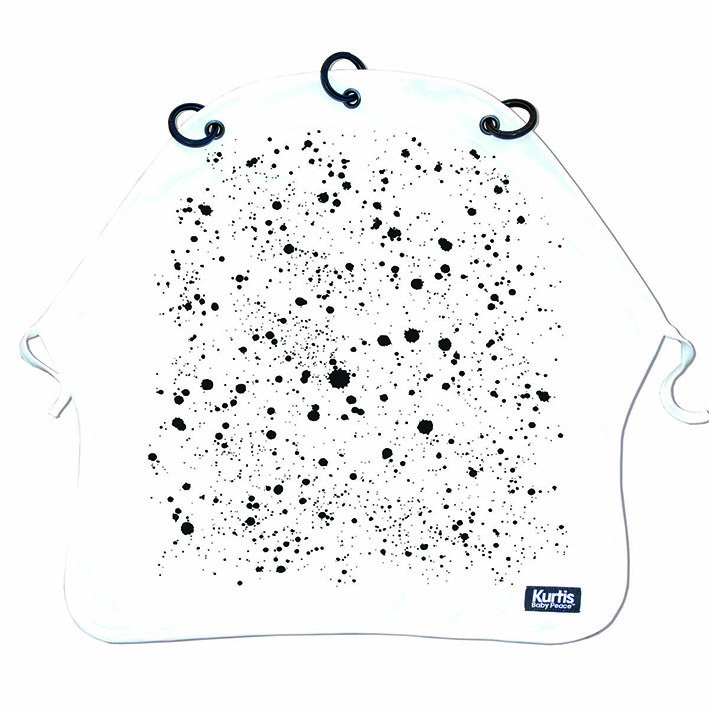 The product can also be used as a cover for the baby carrier by attaching it with the rings to the baby carrier. In a similar way you can use it as a nursing blanket by attaching it to your bra or top. This product is made in Europe and meets all European safety standards. 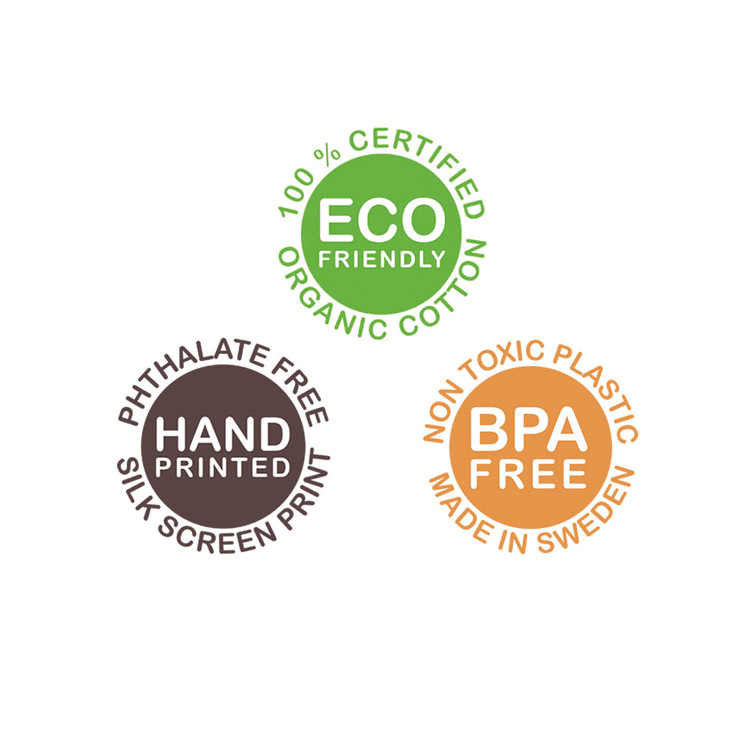 Made from 100% Organic Cotton, BPA free plastic & non toxic print. HOW TO WASH: Wash with similar colours in 40°C. Do not tumble dry. Do not stretch the fabric around the eyelets when wet. Iron warm. WARNING: Never totally cover your pram. This is especially important in a hot climate as it will increase temperatures and decrease air circulation, this will cause danger to the baby inside the pram. On very hot days always stay in the shade. Remember never to leave your baby unattended and always ensure there is good air circulation. Hi, did you know that we invented the Pram Curtain? We are proud of the high quality we offer and we hope you like our stuff!